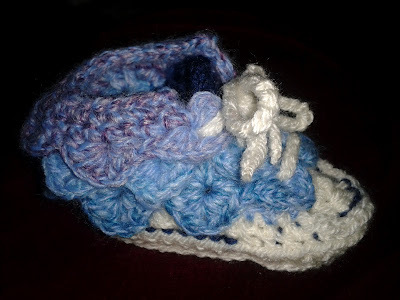 Lolly's Crafty Crochet: Baby Crocodile Stitch High Top Trainer Style Booties! Coming Soon! Baby Crocodile Stitch High Top Trainer Style Booties! Coming Soon! This what I have been working on recently...my Crocodile Stitch High Top Trainer Style Booties! The pattern is currently in the editing phase and coming soon to purchase on Ravelry. Don't worry though I still intend to post free patterns too!